Abu Garcia Ambassadeur 6500C Power Handle Reel. Designed for unrelenting power. 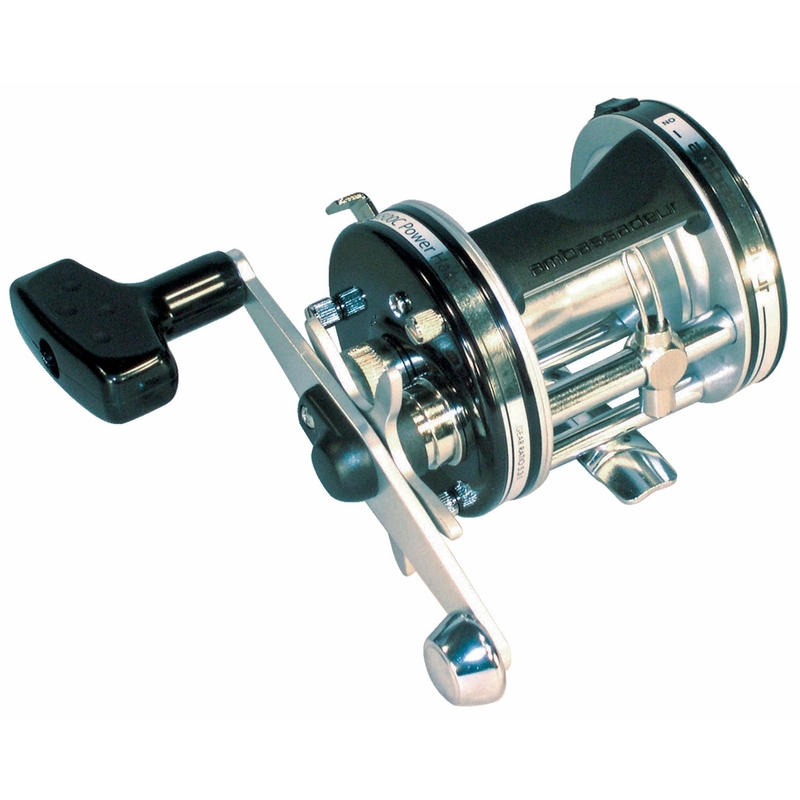 3-bearing system with Instant Anti-Reverse, 6-pin Designed to give immense power. Coated levelwind, and advanced Carbon Matrix Drag. In addition the high leverage power handle is a class feature when speed is required.